A show at the National Building Museum in Washington DC. 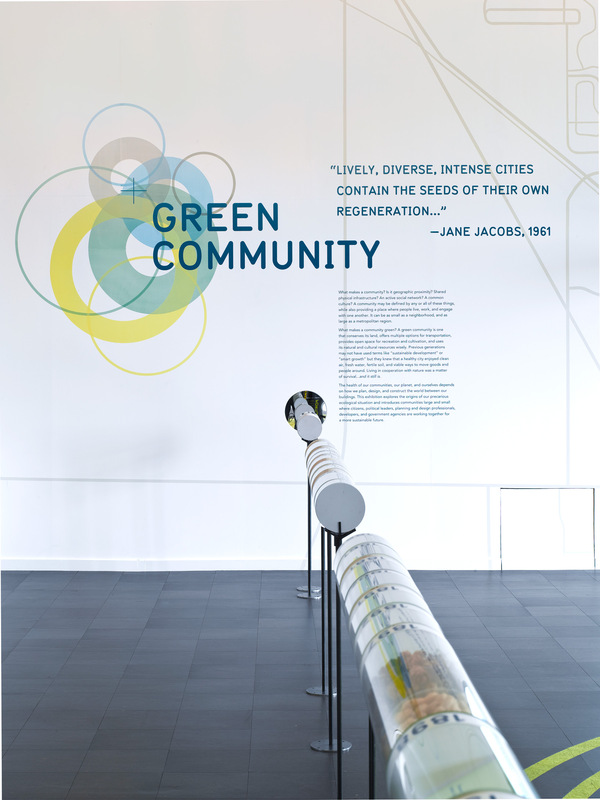 that focused on green strategies at the community scale. 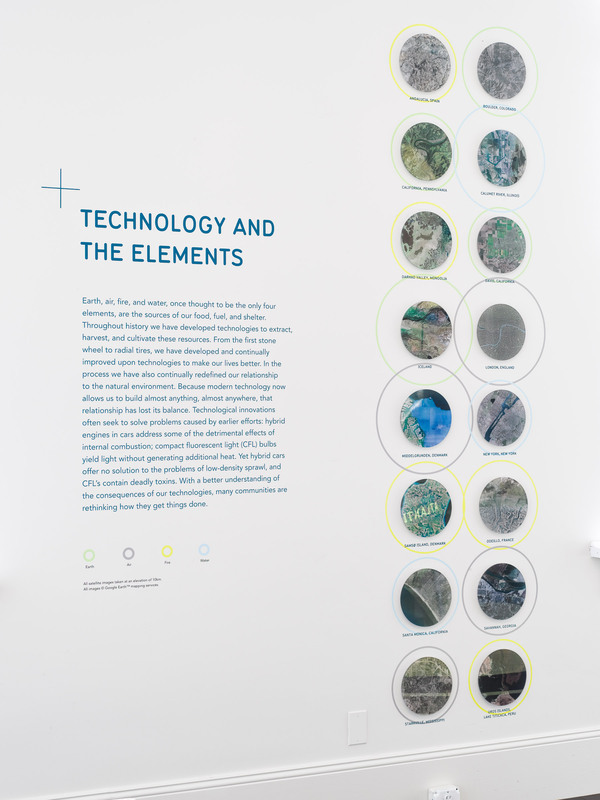 We developed the identity and exhbition graphics with Matter Architecture Practice as the exhibition designers. 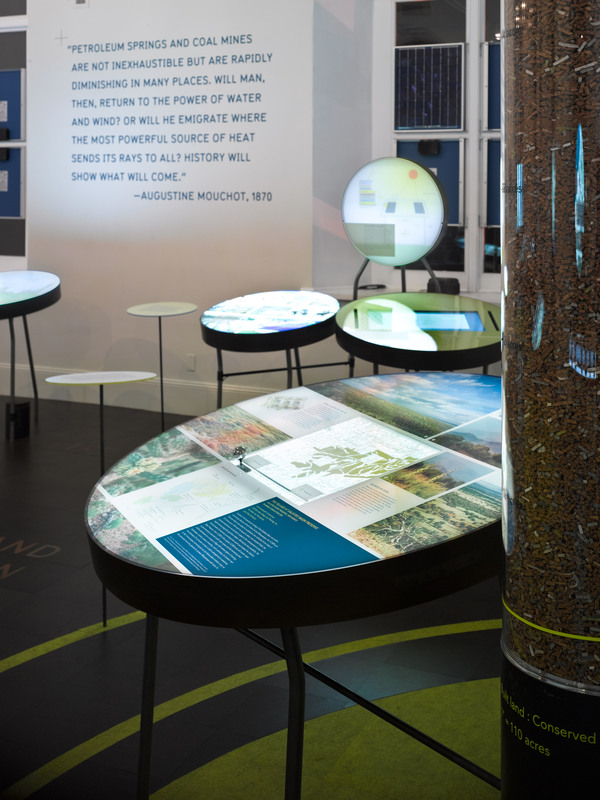 Core 'drillings' ran the length of the gallery with community case studies magnified in circular displays. 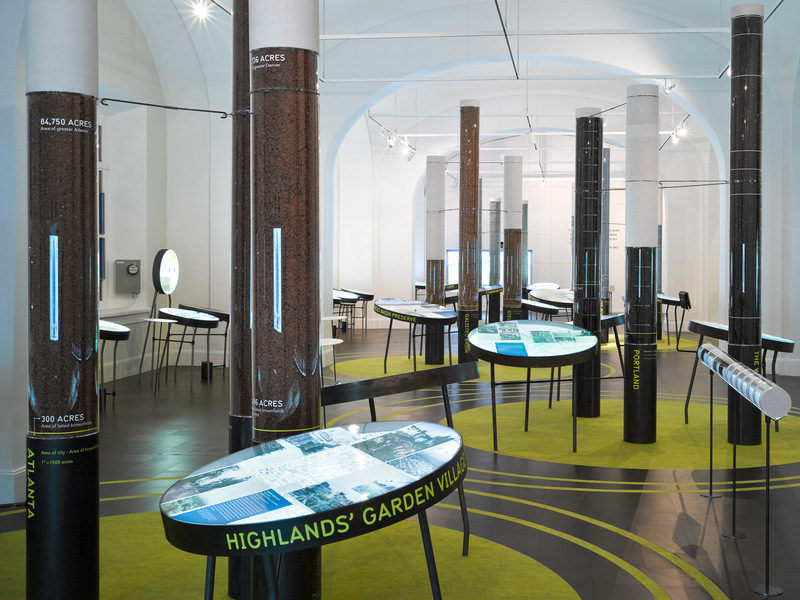 This exhibition won a Society for Environmental Graphic Design honor award. 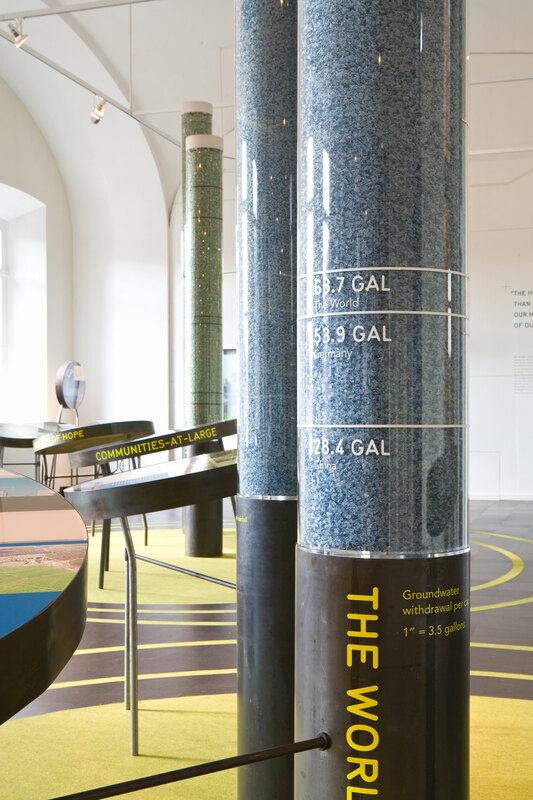 See another exhibition we designed at the National Building Museum.